We're back to another new newspaper for this week. 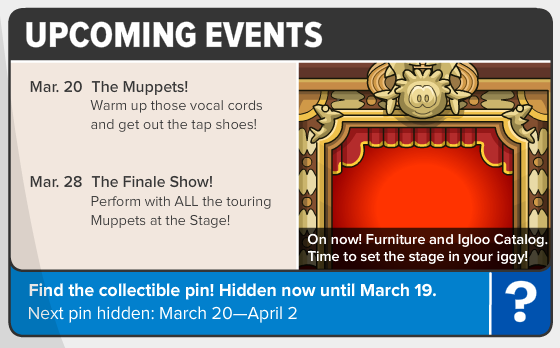 Again, Cadence starts us off by revealing a small amount of The Muppet World Tour party coming this month. If you want to read Cadence's tips then you can click 'Read More'. 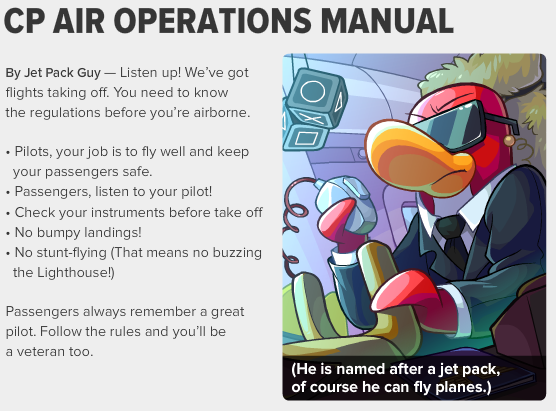 Next, we have Jet Pack Guy telling us the rules for flying inside his plane! Looks like Jet Pack Guy will be flying us all around the world! Lastly, we have the upcoming events. The Muppet World Tour starts next week! 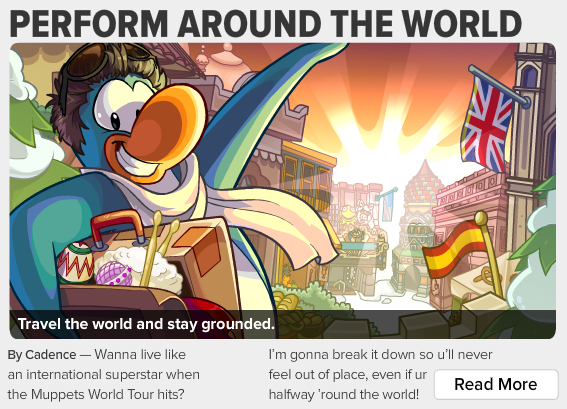 I am very excited to see what Club Penguin has waiting for us. Also, the grand finale show is on March 28. I am not sure if that is the end date of the party though.